A four-cylinder gasoline base engine is the norm these days in compact luxury sedans, and in just one case, a four-cylinder diesel engine is optional. But Jaguar Canada is rewriting this formula by making a diesel the standard and only four-cylinder engine on its two newest nameplates. In the case of the F-Pace crossover-utility vehicle, the 2.0-L, 180-horsepower diesel is the base engine in all markets. In the XE compact sport sedan, however, the base engine being a diesel is a peculiarly Canadian feature. In most other markets, the XE lineup includes four-cylinder gasoline engines. That includes the U.S., where the XE lineup starts with a 240-hp 2.0-L gasoline engine. The diesel is an extra-cost option. XE pricing in Canada starts at $45,000 for the Premium trim with diesel engine and AWD. The same-spec model starts at $41,500 U.S. south of the border. On both the XE and the F-Pace, powerful 3.0-litre supercharged V6 gasoline engines are also available; 340- or 380-hp on the F-Pace and 340 hp on the XE. The diesel will be a delayed launch in September, and even after it debuts, Peel expects the gasoline V6 will be the big seller. “Based on how the segment is today we see diesel as an opportunity, but the mix will be strongly weighted towards the V6 initially.” He says diesels are only about three percent of segment sales currently in Canada, in part because only one other manufacturer – BMW – offers it. BMW asks $48,350 for a 3 Series sedan with a diesel engine. Gasoline four-cylinder models rated at 180-hp or 241-hp are priced from $39,990 and $46,850 respectively. 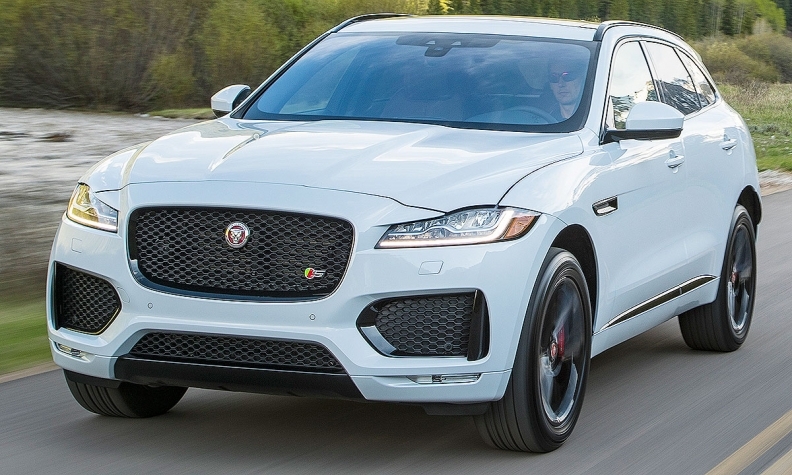 The Jaguar F-Pace diesel starts at $49,900, compared with $46,350 for a BMW X3 diesel. Mercedes-Benz planned to introduce diesel on its C-Class last spring but that was delayed by fallout from the VW diesel scandal. The C-Class diesel is now expected in Canada early next year.